The last few weeks have been nothing short of a miracle. 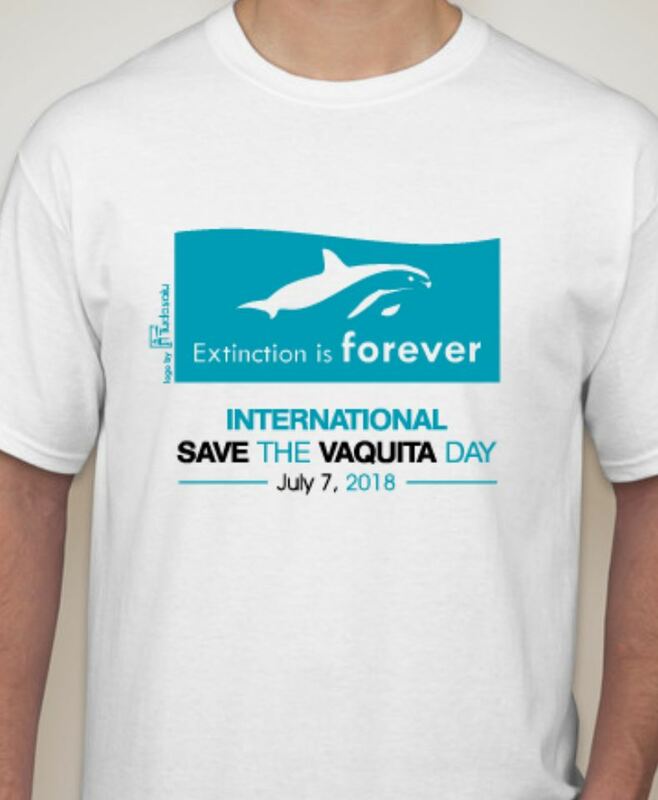 First came the official start of the ban on all gillnets in the Vaquita’s entire range on April 10, which supposedly goes into effect today, Tuesday, April 28. 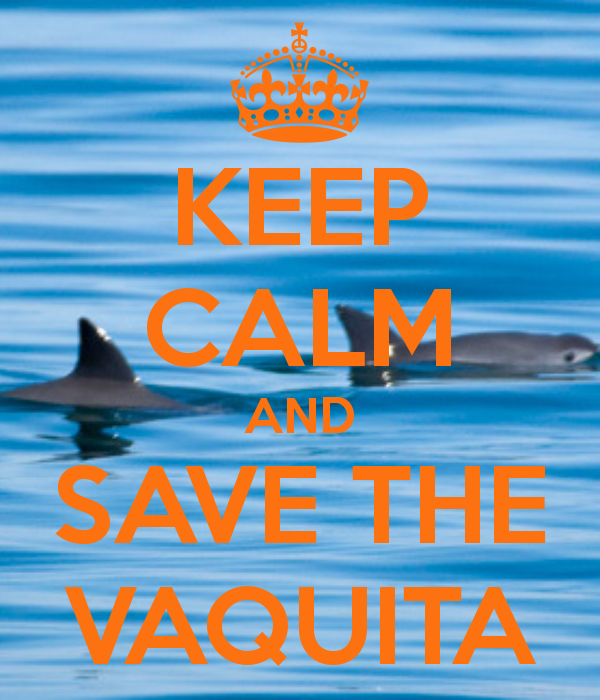 This was proposed on Christmas, and was considered to possibly be the best Vaquita conservation news ever. However, there were some doubts as to how serious this ban was. Mexico could have easily just been saying what conservationists wanted to hear with no intentions of enacting the ban, let alone enforcing it. This fear was hardened by the continual postponement of the start of the ban. But finally, in April the ban was officially announced to begin on the 10th, with payments being made before the 28th (tomorrow), when enforcements will start. But then the news started getting really good. On April 16 Mexican President Enrique Peña Nieto made the trip to San Felipe to inaugurate the new ban. He gave a passionate speech at the large celebration dedicated to the newfound hope for the Vaquita. This was an unprecedented event that went a long way in showing how committed the Mexican government is going to be to this ban. ‘With the small and rarely seen Vaquita porpoise verging on extinction, Mexico’s federal government is launching an unprecedented effort to save the species — through measures that include a dramatically expanded ban on gillnet fishing in the Upper Gulf of California over the next two years. Cooperation from the fishing community will be key to saving the Vaquita, Robles and other conservationists say. But in recent years, their efforts have met with stiff resistance from local fishermen, many of whom see their livelihood threatened by the gillnet ban and are skeptical of the Vaquita’s existence. Peña Nieto’s announcement follows a scientific report last year by [CIRVA], the International Committee for the Recovery of the Vaquita, a group of experts appointed by the Mexican government. 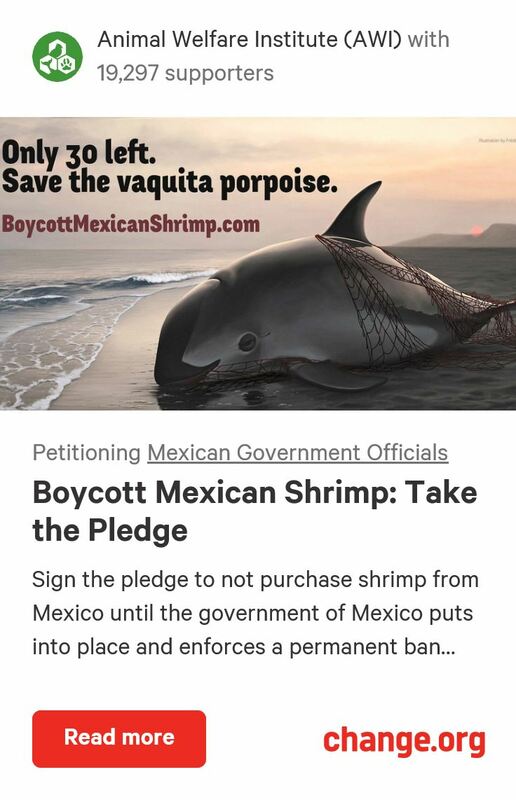 The report identified as the main threat to the Vaquita the drift gillnets favored by Avila and hundreds of other small fishermen in the region who make their living through their catch of shrimp and fish. 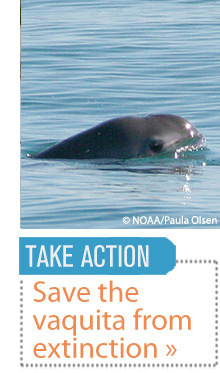 The Vaquita become entangled in the nets and drown. The new measures are not the first by Mexico to preserve the Vaquita, but they go further than previous efforts. These include the prohibition of gill net fishing over an area of close to 1,150 square miles — about six times the size of a Vaquita refuge declared in 2005 where all fishing continues to be banned. 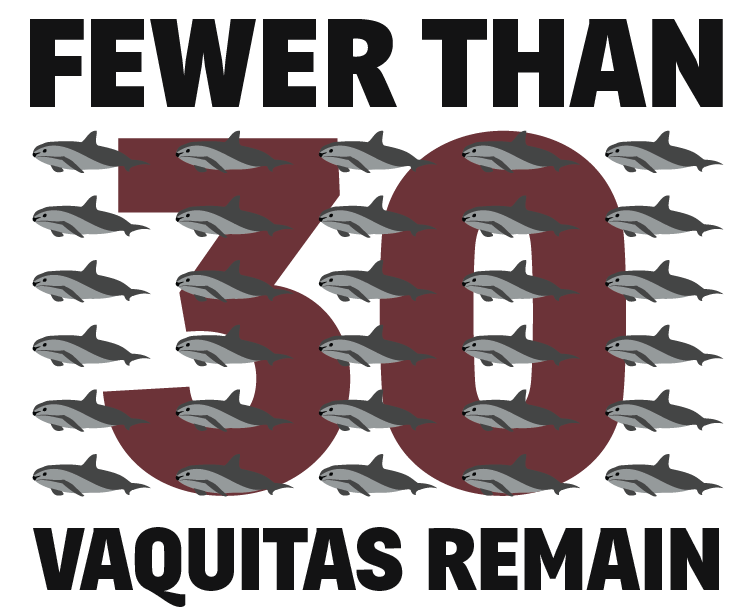 The expanded zone covers the entire area where Vaquita have been sighted. Another step involves the two-year compensation program — payments totaling close to $36 million annually — for fishermen who are forced to give up their gillnets and long hooks, as well as others in the local production chain. Mexico’s federal government calculates that the compensation program for fishermen in San Felipe and another coastal community, El Golfo de Santa Clara, involves 806 small boats, or pangas, with 1,354 fishing permits (most have two permits). For the next two years, fishermen would receive about 7,000 pesos, or about $460 per month to stay away from their gillnets and long hooks. Still, Rodriguez and other fishermen have been resistant to alternative fishing methods being championed by the Mexican government and the conservation community, a light trawl known as a chango ecologico that does not threaten the Vaquita, saying that it uses more gasoline and brings in a smaller catch than the gillnets. There have already been multiple Totoaba busts this month. 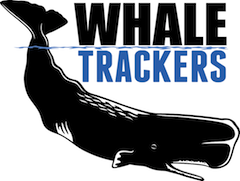 First, two men were chased by police and dropped a backpack containing 90 swim bladders, and more recently, a man and woman were stopped with a large Totoaba on their boat. It is great to already see the enforcement in action, whether or not it is because of the new ban. The Mexican Navy has been given high-velocity Defender speedboats in order to effectively enforce the ban. The boats are capable of incredible speeds even while heavily armed, and it is apparent that they are in the right hands, given that there has already been a bust with one. 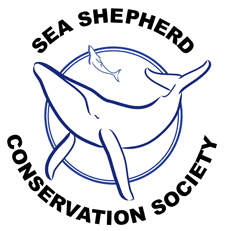 Recently, there have been dozens of articles about the latest developments, along with celebration among the conservation community. For the next few weeks, it is best for us citizens to give Mexico some time to see how serious they really are about everything, but while we are waiting, we can work on ending the illegal Totoaba trade. The root of all illegal trading is demand; if we can reduce the demand, there will be no reason to fish for Totoaba. You can spread the word about the situation, talk to your local Chinese food restaurant, and if you or someone you know visits/lives in China, talk to everyone you can and ask them to not buy Totoaba swim bladders or fish maw soup. 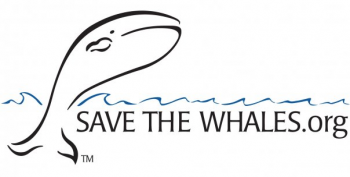 Sea Shepherd, an organization made famous by the hit show Whale Wars, has a new mission: Operation Milagro, which means miracle. 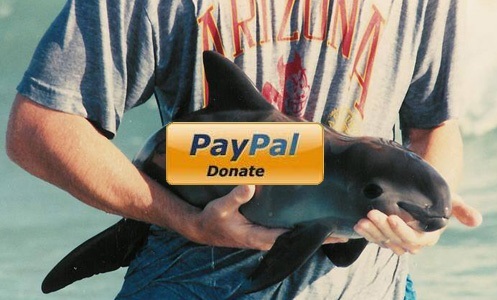 They have been in the Sea of Cortez for a month, and are dedicated to doing all they can to save the Vaquita. “We have called this campaign ‘Operation Milagro’ because, taking into account the staggeringly small number of Vaquitas left, sadly it would be nothing short of a miracle to see one swimming in the sea today,” said Captain Oona Layolle. Well believe it or not, on the very next day, for the first time since 2013, Operation Milagro did just that.